What do you do when you’re working in software sales but are infatuated by the wedding world and anticipate reading the latest Style Me Pretty posts each morning? Look to Bella Bridesmaid of course! This is exactly what Charlotte Bella Bridesmaid owner Cecily did 5 years ago. With some previous experience working as a bridal consultant and seemingly stuck in a job, Cecily happily explored franchise opportunities with Bella. Just her luck, the Charlotte location was open as a franchise opportunity, so Cecily excitedly jumped at the chance and opened the doors to her very own Bella in August of 2007. With several years of assisting brides to be and their lovely maids, Cecily revealed some her most memorable moments in her boutique and what Bella dresses she will be sporting this summer… BB: What was your career before becoming a Bella Bridesmaid owner, and what attracted you to the franchise? C: Before becoming a Bella Bridesmaid owner, I was working in Software Sales. My first job out of college, I worked as a bridal consultant for 2 years and was completely hooked. Although I had moved on with my career, I never shook my love for weddings and all things bridal. I had an entrepreneurial bug and was constantly in search of ‘the perfect business’ concept. When I visited the Atlanta boutique with my sister in 2007, a light bulb went off and I realized this was it! BB: What is the most memorable moment so far in owning your boutique? C: So many to count… one of the moments that stands out to me is the first customer I ever worked with. She was dying to get in for an appointment, and the store construction was not yet complete. She knew what designer she was interested in seeing, and her wedding was fast approaching. I offered to meet with her and her bridesmaid, so I loaded my car with dresses, and we ran the appointment in her living room. I still remember running up and down the stairs and tying bows for them! They chose their dresses that day and I was so excited! BB: What is your idea of a perfect night out on the town? Which one of our dresses would you wear, and how would you style it? C: This is such a tough question, because I love all of our dresses… A perfect night out on the town would definitely be small plates and wine with my husband at our fave local restaurant, followed by dessert of course! I am currently obsessed with Mamie & James Silk Polka dot, and love the Bonne Chance dress. I would wear it with a pair of fun pumps. With summer around the corner, the Jenny Yoo Aiden is going to be a staple in my wardrobe as well. Tie it as a haltar, and pair it with some wedges and chunky turquoise jewelry, and you are ready to go. BB: What is your fave celebrity wedding dress? C: Dylan Lauren – how amazing to have your own father design your bridal gown! BB: Tell us about a favorite recent bride that has an interesting story/wedding. C: I have a bride that purchased both her bridal gown (the fabulous Joanna August ‘Virginia’ gown) and her bridesmaid dresses from us (Lela Rose), and she is getting married in Charleston, SC. During one of our many appointments, she was telling me that she was having trouble finding an officiant for her ceremony that would fit both she and her fiancee’s religious needs. I suggested that she contact the officiant that I used for my wedding in 2009, and she wrote me afterward to let me know that they had met with him, and felt that he was going to be a perfect fit for them. This was a very important component for her, and it was so rewarding to make a contribution to her special day, beyond the bridal attire. BB: How would you describe your own personal style? BB: Dream vacation spot? 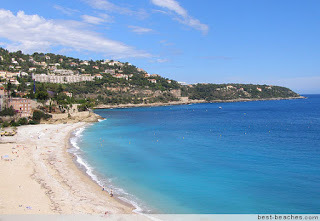 C: Easy...French Riviera. Looks gorgeous! BB: Fave daily blog read? C: Design Sponge, Style Me Pretty Now... For This & That! Real Housewives of OC or Beverly Hills? NEITHER! I’d be more likely to be found reading Vogue or People. Facebook or Twitter? Facebook Green tea or skinny latte? Skinny latte… green tea if I am being ‘good’. Brangelina or Justifer? Brangelina Lady Gaga or Adele? Adele’s voice, and Lady Gaga’s ‘Try anything’ approach. The woman can wear anything! Thanks Cecily!